Ah, aging. Ten years ago my idea of a great time was going to Akbar with friends, stumbling out at 2AM and hitting the taco trucks on Figueroa until dawn. Fast forward to 2016, a baby, husband and mortgage and I’m in boboland by 10PM. Play to your heart’s content for $5! A few months ago, we decided that we had to make a concerted effort to 1) get our grooves back and 2) incorporate a weekly date night again in light of the fact we would like to try for #2 at some point. 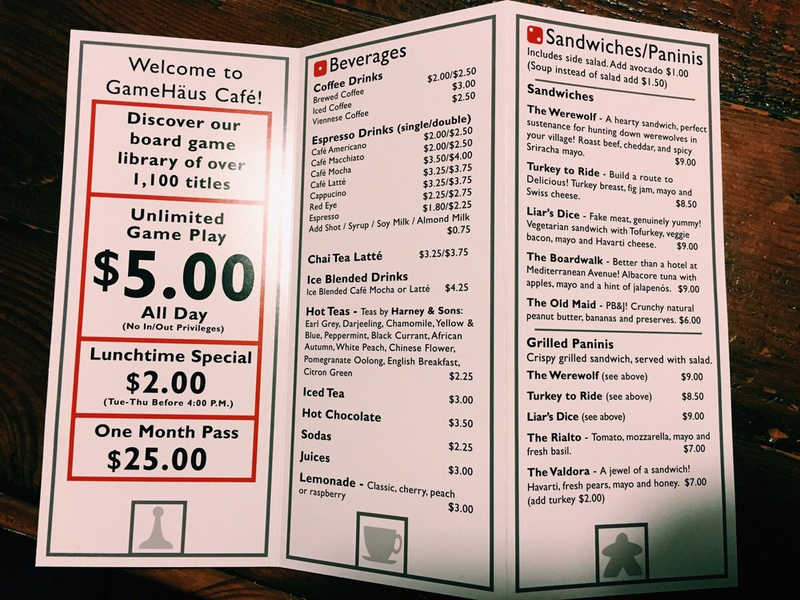 Enter Game Häus Cafe — which just might be a little too cool for Glendale. 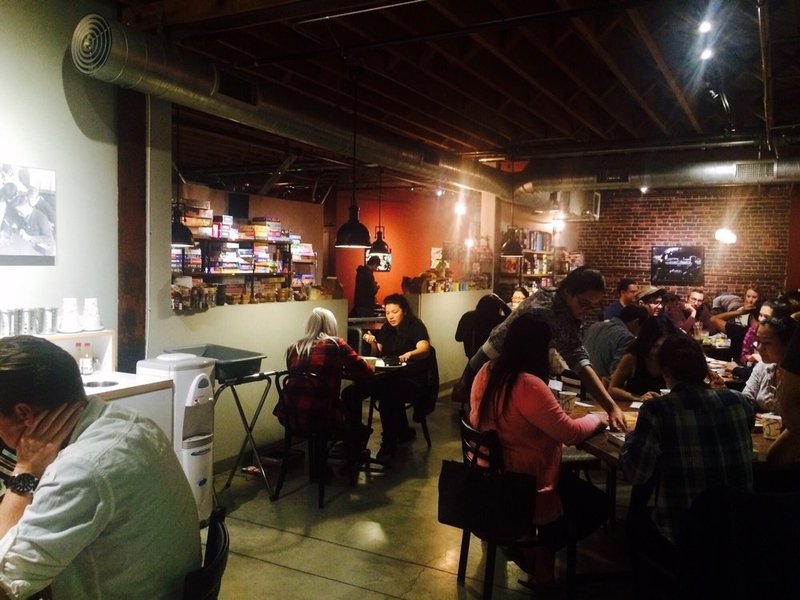 Located right on the border of Atwater and Glendale, this little gem touted as the largest board game cafe in California, transported me back to college with it’s comfortable bars featuring a mish mash of furniture, eclectic music and delightful array of patrons. 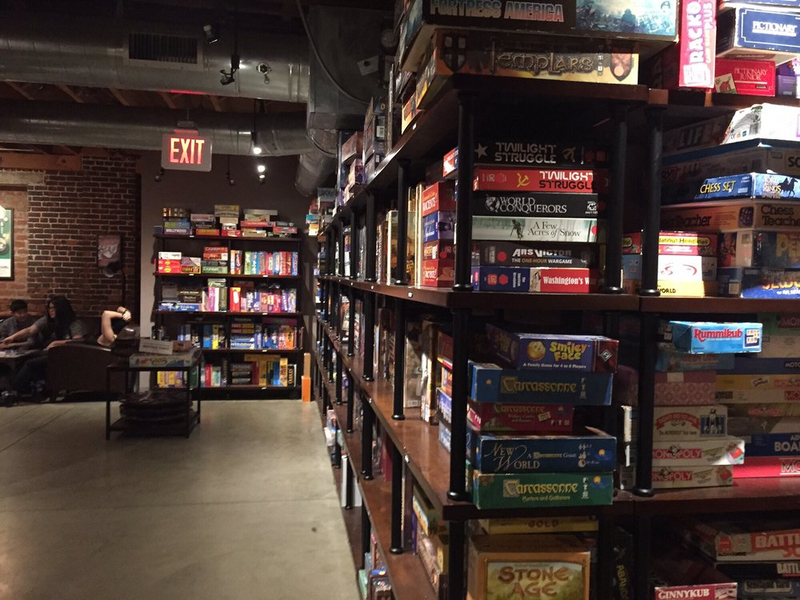 For a $5 cover charge you get to choose from over 1000 board games covering every possible genre and era that line the walls. When we went we heard the periodic, “oh my gosh!” and “I can’t believe they have this!” coming from the stacks as memories of the 80s came flooding back. Though typically crowded, we lucked out on a Friday night as walk-ins with relatively easy street parking on Glendale Blvd. Service was really warm and welcoming with not a hint of pretentiousness. 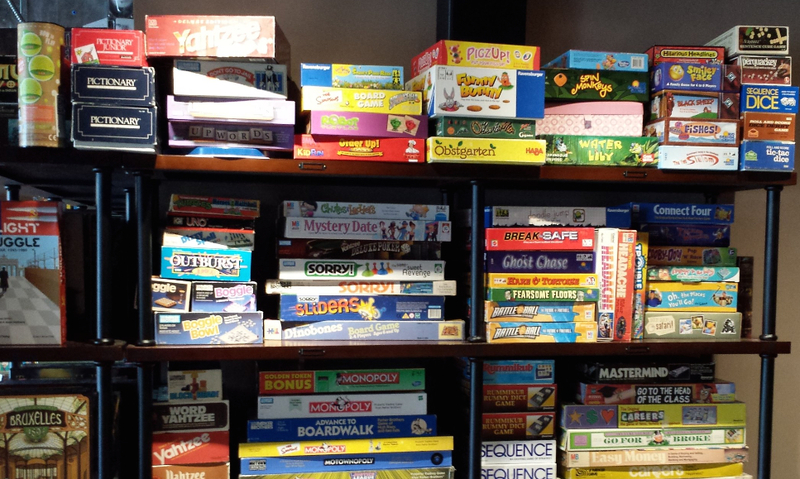 You pay and order at the front, take your number, find a table and then go explore for games. The sweet treats–a homemade apple pie and Oreo n’ cookie dough pie–both for me and chocolate covered Oreos for him, were so sinfully decadent they are reasons #2, #3, and #4 to visit again. The #1 reason to go is that it’s just fun–the kind of innocent fun we all had as little kids when nothing else mattered. 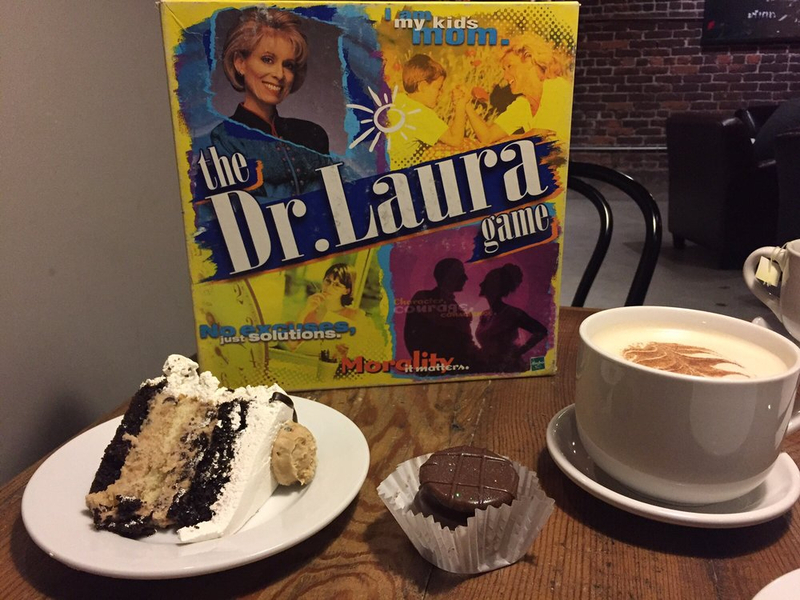 Perhaps it was the lighthearted atmosphere or all the sugar we inhaled, but we had an awesome time reliving childhood memories while laughing hysterically over a rousing game of The Dr. Laura Game, Connect Four and Dominoes. It was by far the funnest, cheapest and most rewarding date night in recent memory.